It took me a bit of time to get around to writing this review. 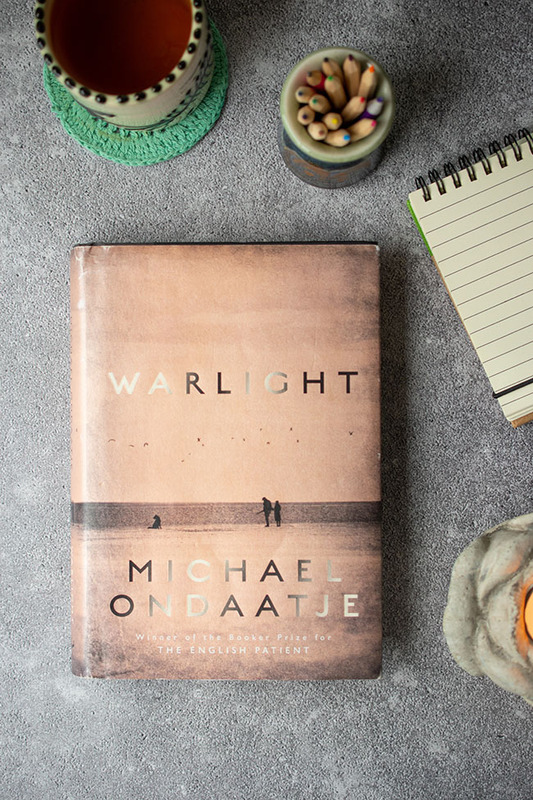 Just as it took me a bit of time to read Warlight: A novel by Michael Ondaatje. It's not unusual for me to come around to a novel slowly. I often find it's around the 100-page mark that I finally get wrapped up in it. Many times I then end up wishing the novel were 100 pages longer. But was that the case here? Read on. The premise of Warlight is fascinating - it's 1945 and London is recuperating after the war. Narrator Nathaniel, 14, and his older sister, Rachel, learn that their parents are leaving them, supposedly to travel to Singapore for a year. The teens are to be left in the care of a strange family friend, nicknamed The Moth. Nathaniel and Rachel soon suspect their parents haven't told them the full story about their pasts and their current whereabouts. Not only that, but the siblings might be in some danger. Meanwhile The Moth surrounds himself with shady characters, creating a feeling of unease in the family home. Under these conditions, it's difficult to function as regular, school-going teens. The theme of memories and how they shape our stories is key in Warlight. Nathaniel looks back at his childhood experiences from his late twenties, and he pieces together fragments to create a fuller picture of his early life. With memories being fallible and incomplete, the truth is different for each person. There are many unique and interesting moments in Warlight - the smuggling of greyhounds along a river springs to mind. So why did it take me some time to read the book and write about the book? I didn't love it. And this is where reading is so personal. Other people loved it. You might love it. But as much as I wanted to, I never felt invested in it. I wanted to know more about many things. What was Rachel's perspective on the unusual events of their teen years? She deals with epilepsy at a time when people didn't have as many resources to control their seizures. She has the potential to be an interesting character but I felt she wasn't thoroughly explored. I wanted to better understand Nathaniel's relationship with his first girlfriend, Agnes, and I wanted her to be a more fully developed character too. I wanted to know more about the teens' father too. How does he fit into the family's complicated history? Many of the "missing" pieces I was looking for just didn't come. Maybe that speaks to the nature of memory and how many pieces of our pasts are missing, locked away in some inaccessible parts of our brains. But I still wanted to know. I'm stubborn like that. 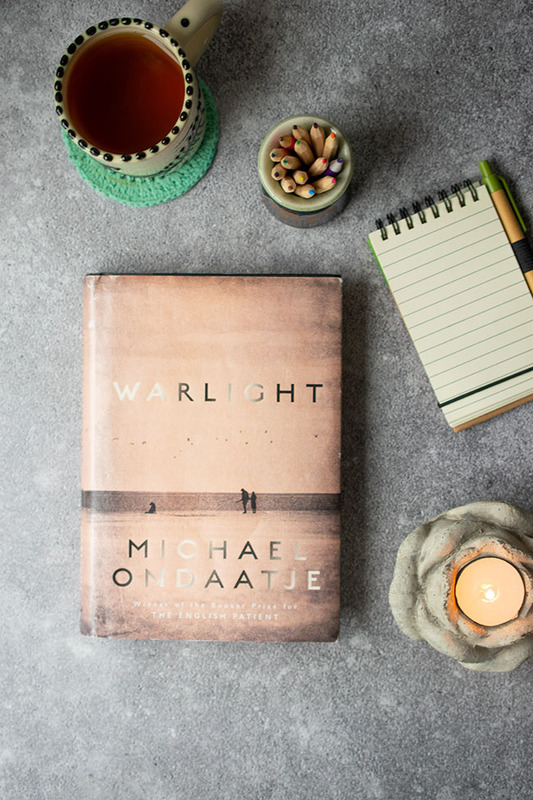 Warlight is Ondaatje's eighth work of prose. He is most famous internationally for The English Patient which was recently voted the best work of fiction from the last five decades of Man Booker Prize winners. The story made for a pretty great movie too - winner of an Academy Award for Best Picture in 1997. How long does it usually take you to get wrapped up in a novel? Will you keep reading to the end if you're not feeling invested? Have you read any of Ondaatje's novels? If so, what's your favourite?